A life-long resident of Chicago’s southwest side, Charmaine graduated from St. Mary Star of the Sea School and St. Joseph High School. She is a 1963 graduate of Northern Illinois University where she earned a B.S. in Education. Her teaching career began in Burbank District 111 and continued at the American School System in Japan. She married Richard Zarzycki in 1969 and began her studies at Worsham College of Mortuary Science where she graduated in 1971. Charmaine is an active member of the Catholic Council of Women (C.C.W.) at St. Richard Parish. 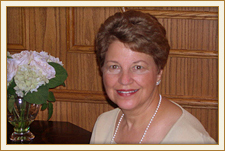 Charmaine was honored in 2012 for her 40 years of dedicated service as a licensed funeral director in the State of Illinois. Claudette graduated from St. Turibius School in 1986 and Maria High School in 1990. She received her B.A. in Literature & Communications, with a concentration in journalism and marketing from Illinois Benedictine College in 1994. She is a 1995 graduate of Worsham College of Mortuary Science. Before returning full-time to the family business in 1999, she worked for Recycled Paper Greetings, Inc. and also Hyatt Hotels Corporation in their marketing departments. 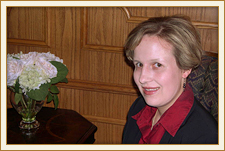 Claudette carries more than 20 years experience as a licensed director. She is parishioner and Lector of Ministry at St. James at Sag Bridge Parish and the Treasurer and member of the Willow Springs Lioness organization. Claudette and her husband reside in Willow Springs. A 1994 graduate of St. Turibius School and 1998 graduate of Mother McCauley High School, Andrea received her B.A. in Graphic Designing in 2003 from Columbia College. She graduated from Worsham College of Mortuary Science in 2004. 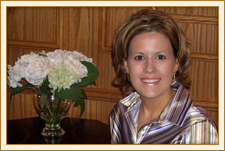 Andrea is the preneed life insurance agent at the funeral home. She is an active parishioner and volunteer at St. James at Sag Bridge Parish and is a member of the Willow Springs Historical Society. Richard was a 1945 graduate of St. Casimir Grammar School and a 1949 graduate of Harrison High School. He graduated in 1953 from Loyola University with a B.S. in Science and completed his studies at Worsham College of Mortuary Science in 1955. During the years of 1956-1958, he served in the Army Occupation Forces in Germany. While working at the funeral home in the evenings and on weekends, during the day he was a schoolteacher in Burbank District 111. In 1960, he began as a junior high school science teacher. 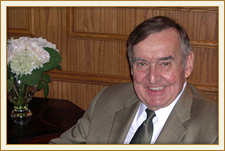 Richard received his Master’s Degree in School Administration from DePaul University in 1963. Administratively in 1965, Richard opened Jacqueline Kennedy Grammar School in Burbank, Illinois where he was principal for six years. He moved to Luther Burbank School in 1971 where he served as principal for 19 years. Because of his educational expertise, he was appointed by former Governor James Thompson to the Illinois Educational Facilities Authority during 1982-88 to provide tax exempt funding to private, higher educational and cultural instructions. In 1990, he retired after 25 years from his principal duties. Richard was one of the founders of the Archer Heights Credit Union and was a charter board member for 32 years. He served as their Chairman for 25 years. Richard passed away July 1, 2006. He brought more than 50 years of educated experience, as well as a lifetime of on-hand knowledge to the funeral industry. We are proud members of the National Funeral Directors Association (NFDA), the Illinois Funeral Directors Association (IFDA), the Archer Heights Civic Association and the West Suburban Chamber of Commerce & Industry (WSCCI). Please visit their websites for more information.